HAMILTON, Ontario - Feb. 17, 2018 - PRLog -- No other music industry's history is as overwhelming as that of hip hop and rap music. The art form has met with various obstacles right from ignorance to controversies. The grass root level artists who are now the big wigs in the zone has been from a humble background and has been the victims of poverty, social discrimination and more. Today hip hop and rap music has almost won a battle and has successfully established itself as a mainstream music genre with huge crowd and global music lovers. No matter the genre has always been successful to be in the news, but with the advent of internet and SoundCloud, hip hop and rap music has become a globally accepted genres. The gala has revolutionized the way of listening and sharing hip hop music. In the current period numerous artists and rappers are in the way of making their career n the zone by joining hands with Soundcloud. One artist with not a very appealing past is pouring his spool to grab the attention of listeners. 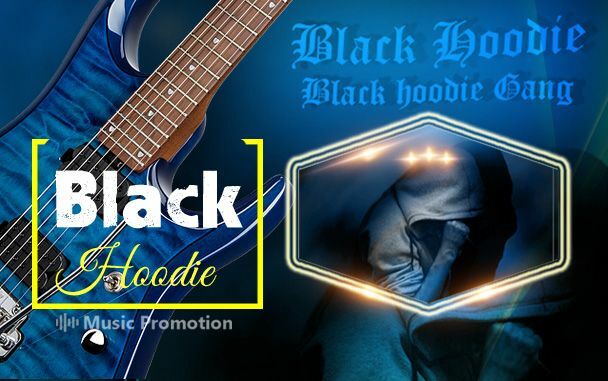 The artist likes him to be called as Black Hoodie and is ready with his new track "Black Hoodie Gang"
Hoodie's past life is full of odd happenings and he never expected to make his way from the criminal scene to the glamorous hip hop zone. It is his passion and love for the music genre that kept him motivating. Only at the age of 17 he made it a pointy to fight against all the negativity surrounding him and have a fresh in the scene. Hoodie's signs of success can be witnessed from his new track "Black Hoodie Gang" produced by Dre Tracks that is steadily attracting SoundCloud fans' attention. This track reveals his mastery on the genre. His amazing voice and flawless rapping of bold lyrics will keep listeners hooked to the track.